Firstly, I’m very sorry about the pun in the title, I just couldn’t help myself. I’ve just finished my second week in my new job. 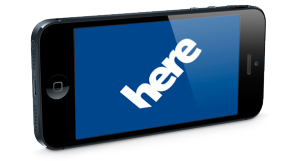 I’m working at HERE, a part of Nokia as a Mobile Application Developer working on an as-yet unreleased iOS app. The first couple of weeks have been getting to know the code base and getting stuck into fixing bugs in the current build. The rest of the team have all been really great in helping me get up to speed on the code and processes. I’m sure there’ll more news in the coming weeks. This entry was posted in Life and tagged Berlin, HERE, Work. Bookmark the permalink. Just downloaded the app – will take it for a spin!